Who doesn’t love a little staycation? After all, we really do live in the best city in the world. 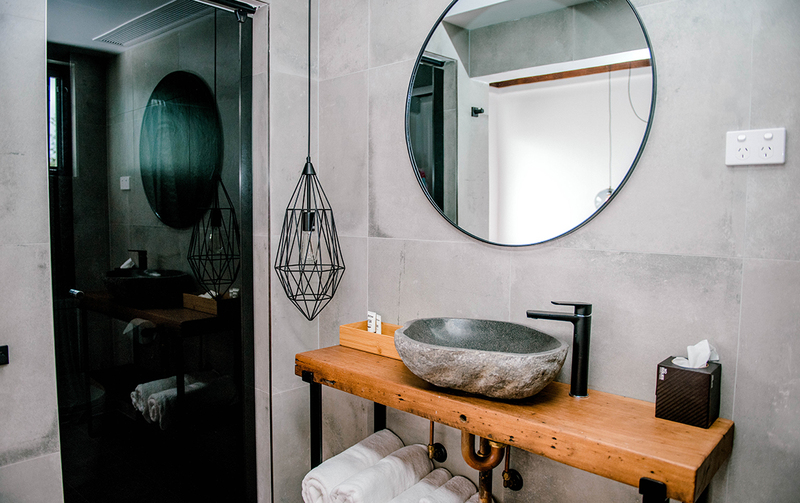 So, if you’re looking for some local r&r or you’re an out-of-towner thinking of visiting the gorgeous Gold Coast, you’re going to want to check in to The Pink Hotel Coolangatta. 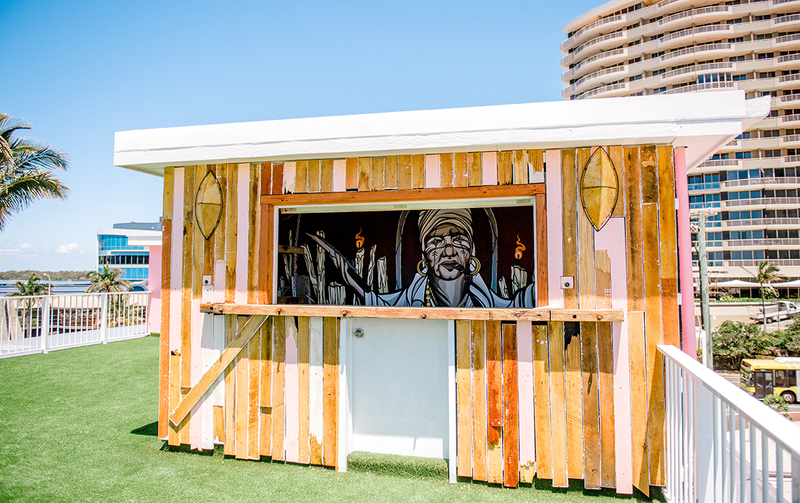 The hotel, formerly the Coolangatta Ocean View Motel, has been refurbished back to her former glory—and then some—by the talented team at Eddie’s Grub House which sits conveniently next door. For starters, long gone is the tired exterior and in its place is a beachside hotel painted the most perfect shade of cotton candy pink. And that’s only the beginning. Inside are 17 stunning rooms, six of which are luxury suites each with their own identity. You’ll be wanting to move in here permanently from the moment you step inside. 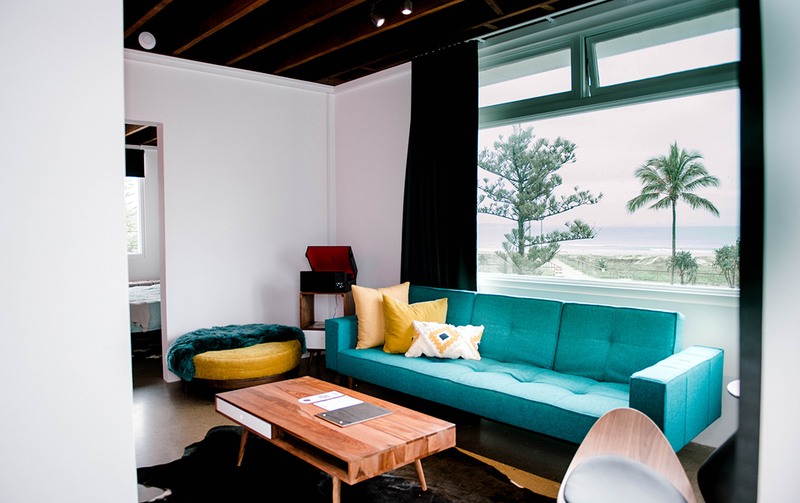 The rooms are a mix of rockstar and retro chic with a subtle touch of Scandi. Expect bright pops of colour mixed with dusty jewel tones. There’s fur throws, velvet rugs, custom neon-lit poetry by local artist Coco Loberg, Smeg fridges stocked with Young Henrys beers, and a vinyl record player with Jimi Hendrix’s Good Times crooning in the corner. Yep, when we said you wouldn’t want to leave, we meant it. While you’ve got the beauty of Cooly beach and their incredible cafes, restaurants and bars on your doorstep (Little Mali, Tasca and Baskk, we’re looking at you) but if you don’t want to leave the gorgeous nirvana of your room, you don’t have to because Eddie’s have got your room service covered. Yep, that means their gravity-defying burgers and loaded fries can be consumed from your achingly cool bed. That’s a big win if you ask us. Oh and did we mention there’s an artist suite on offer too? Complete with a grand piano, huge kitchen, two private bedrooms and the dreamiest day bed nook with stunning views. It’s the kind of stuff usually only rockstar’s can enjoy, but now, you can too. 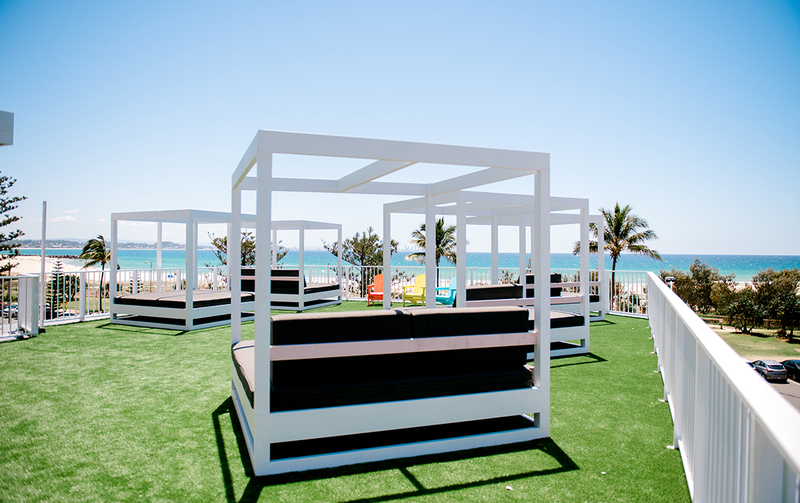 When you’re ready to catch some of those gorgeous GC rays, head on upstairs to the rooftop where cabana beds await you, oh and some of the most incredible views of the coastline. Thirsty? Their rooftop bar Santeria will keep you refreshed with cocktails aplenty. Another perk? This sweet spot is for guests only. Once you’re baked for the day, head next door to Eddie’s to catch some rad live music and throw back a whiskey or three before waking up the next day and doing it all over again. Paradise found? We think so. 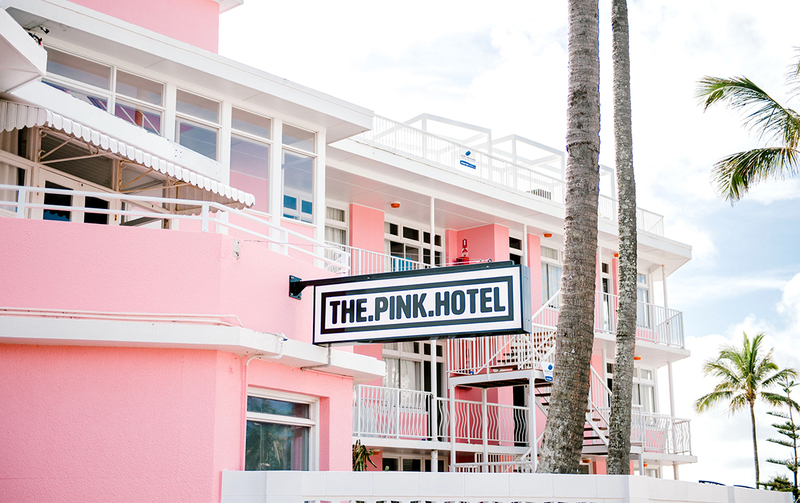 You can check into The Pink Hotel from November 23rd. See you by the bar. Looking for things to do while you’re in Cooly? 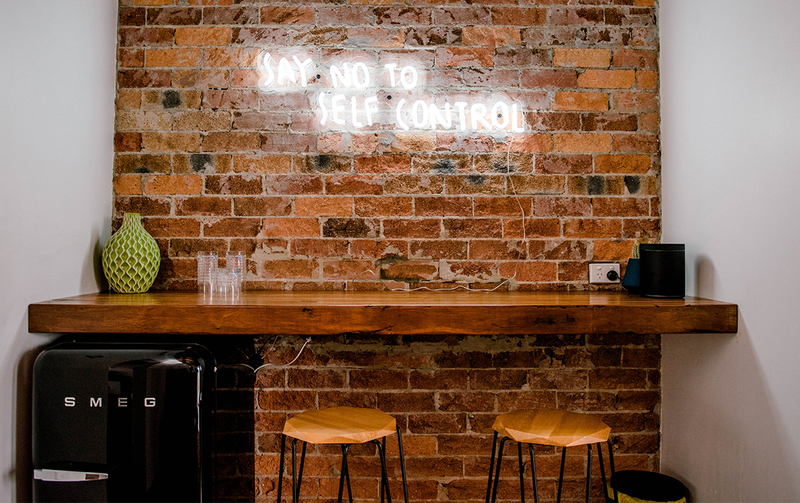 Check out these must visit brekky spots.